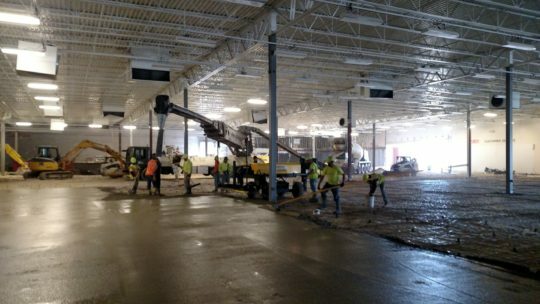 Floor & Decor Concrete Flatwork - Kurk, Inc. 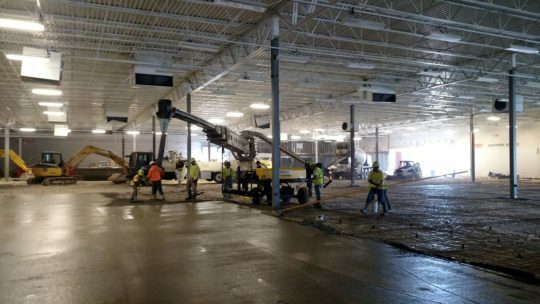 The project for Floor & Decor in Brookfield, Wisconsin included removing and replacing 75,000 square feet of 6″ interior slab and miscellaneous site concrete. 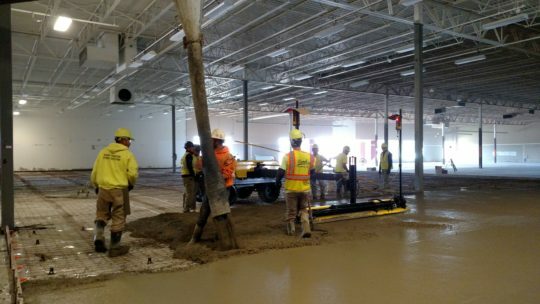 These photos are from concrete flatwork pour number three, which was just over 15,000 square feet and about 300 cubic yards of concrete dispatched from the Gleason Redi-Mix Norway Plant. 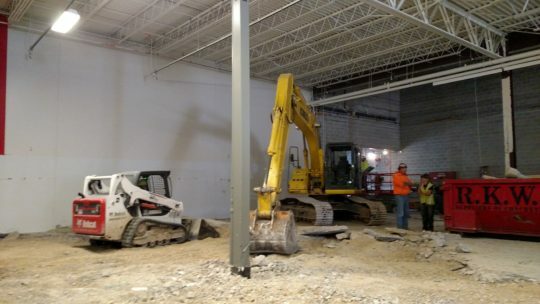 Horizon Retail Construction contracted with us to remove the existing interior slab. 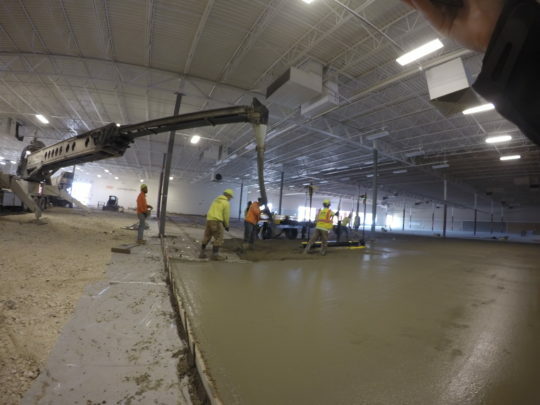 The existing slab was poured at varied thickness, which did not meet the future tenant’s requirements. After removing areas of the existing slab, our excavation crews regraded the subgrade to prepare for our flatwork crews to install a new concrete slab. 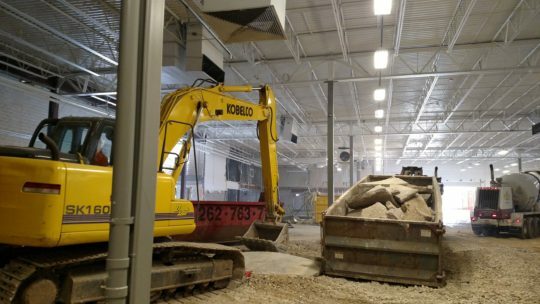 Find out more about Kurk, Inc’s flatwork and excavation services today. 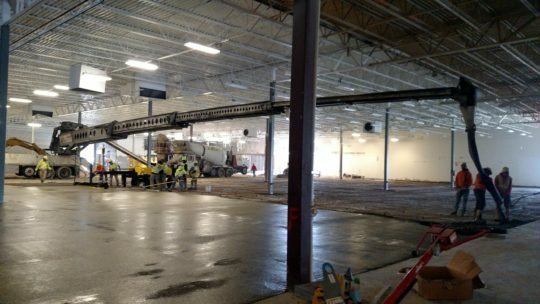 As seen in this photo, interior slab construction included using our conveyor to place materials, Ligchine laser screed to level concrete, and flatwork crew member bull floating the concrete.